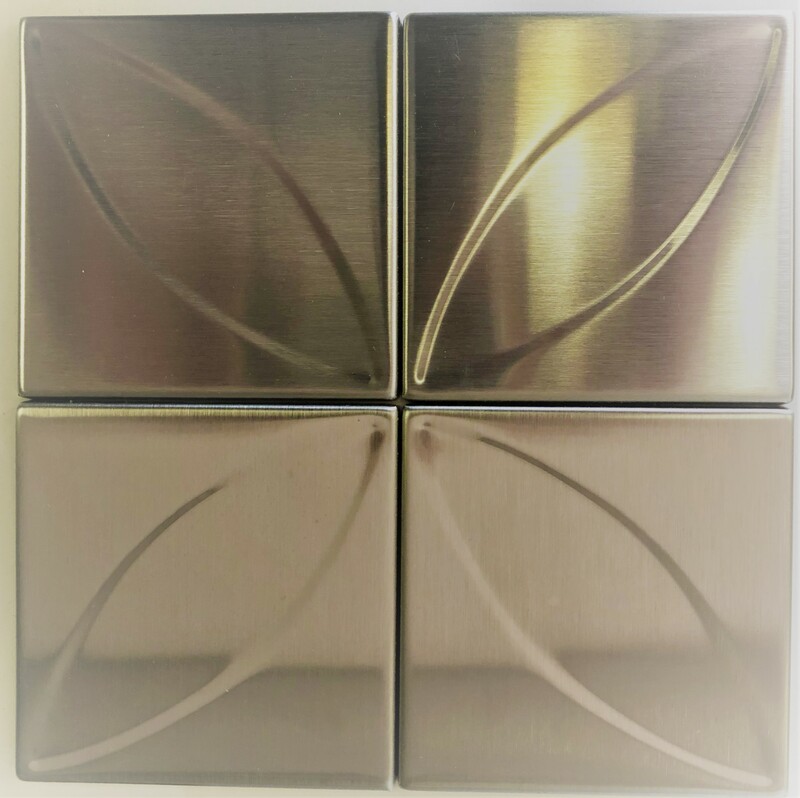 The 4 x 4 Accent Leaf Stainless Steel Tile is Proudly made in the USA. 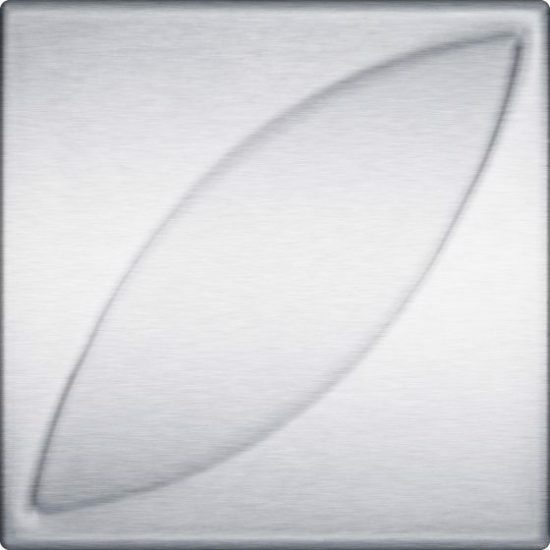 (Actual size: 4″ x 4″) Looking for a playful border or a natural accent to your design? This tile is for you! 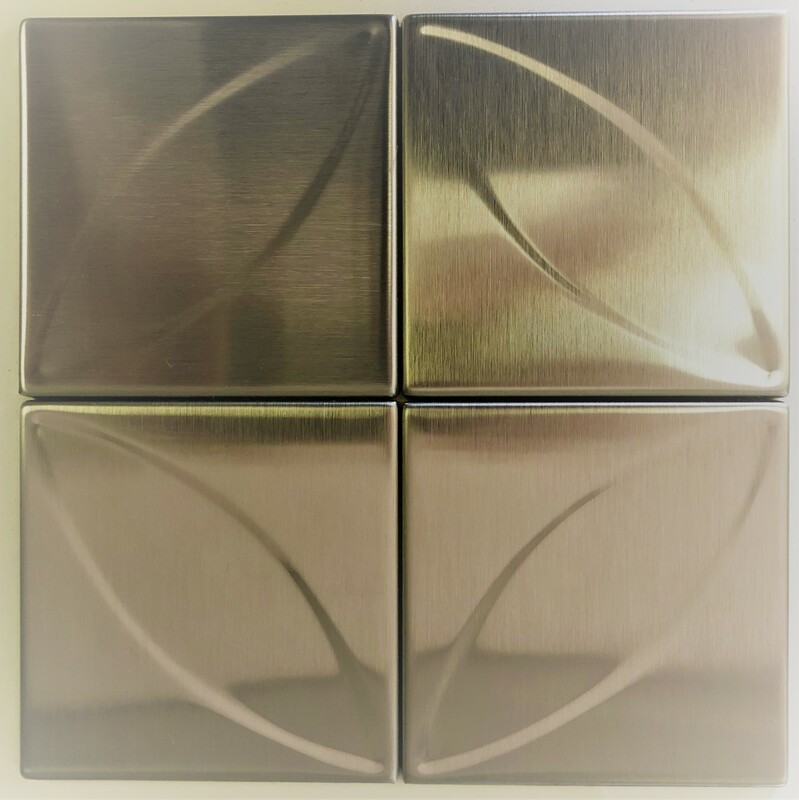 Put 4 together and make a beautiful 8 x 8 pattern. You can repeat that for a look reminiscent of the old tin ceiling tiles. One thing you will want to consider is the direction of the grain for each tile in the pattern. Because of the possible variables, you will need to call or email us to discuss the orientation of the grain you want for each tile. Use our contact form or simply give us a call at (404) 655-6719. See what you can do with these tiles to enhance your backsplash or focus wall. We enjoy helping with design, layout and installation questions. Check out our Frequently Asked Questions for more information.